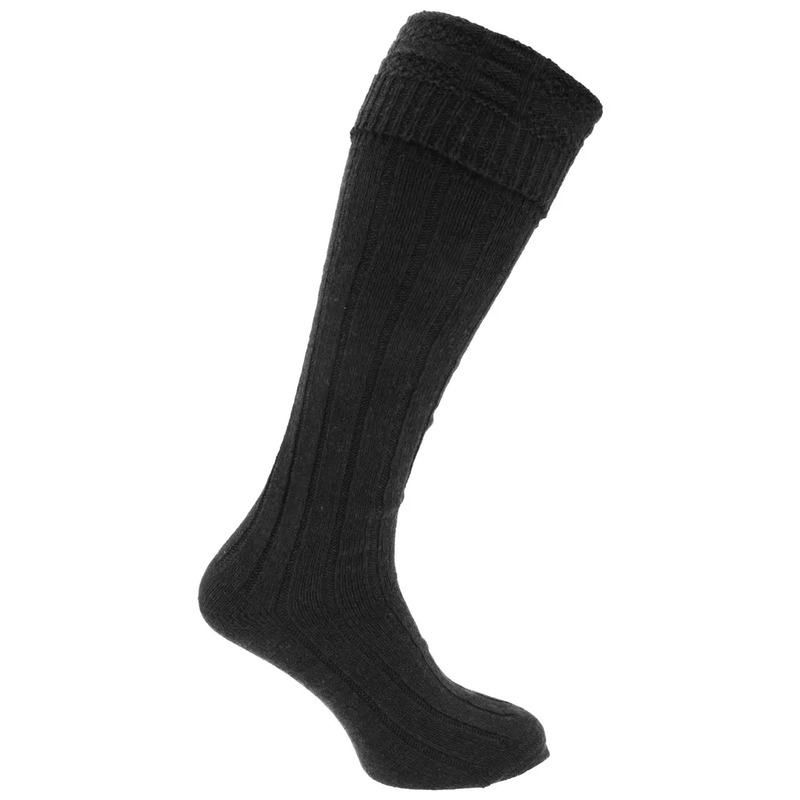 Mens wool rich kilt hose socks. Designed for wearing with a Scottish kilt. Also ideal for wearing with boots for walking and hiking. 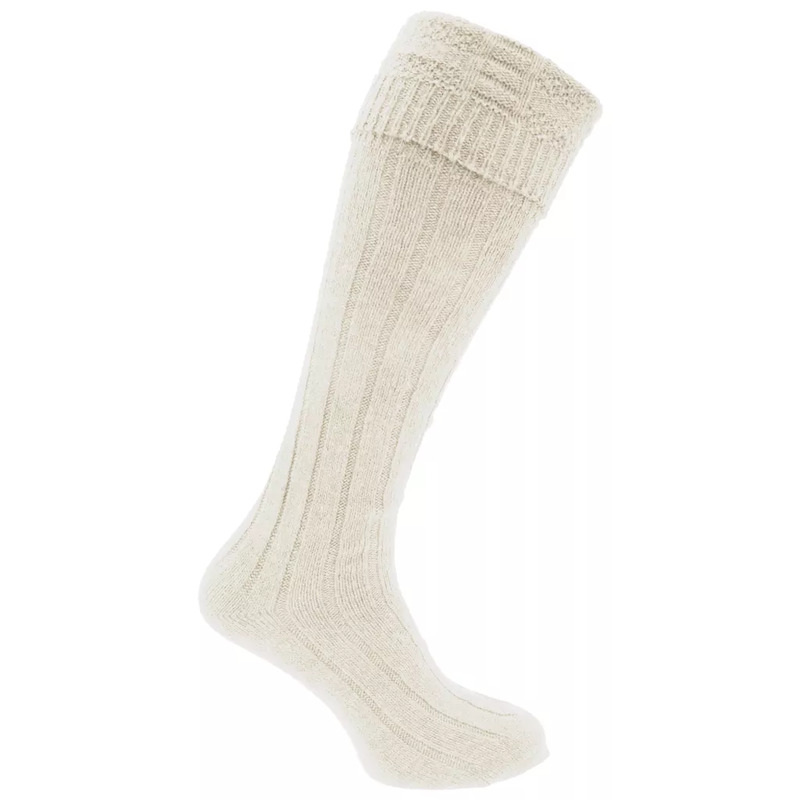 Material: 65% Wool, 25% Polyester and 10% Acrylic.